Biker Rallies, Ride-outs, Motorcycle Shows, Swap Meets, Rock nights, Motorbike Charity runs, Toy Runs, Bike Meets, Biker Party, Bike Rally and more... Please check before you pack your tent! For facebook and twitter links - if it is in green click it! With a range of entry levels there is a route for everyone, beginner to seasoned rider. Set your own target from 120 to 540 miles. Controls are situated countrywide so never to far from home. Why not make it a team effort and form a team with friends or fellow club members. Finish your ride at one of the multiple final controls positioned around the country. Three days of top bands - Toyah, Dr Feelgood, The Quireboys, Kingdom of Madness (classic Magnum), Rainbow Rising, Hellbent Forever (Judas Priest), Neck, AC/DC UK, Bad Touch, plus more. Great Bars with real ales, selection of food units and stalls. Custom & Classic bike competition, Fancy Dress and Tattoo competitions. If you have a Bike/trike that has won shows, e-mail details to qualify for a free pass to the event. Fast becoming the most innovative and prestigious free to attend motorcycle event in the UK. Hollywood motorbike stunt legend Mark Van Driel returns with his Guinness World Record smashing stunts show. Over 50 traders and exhibitors. Ride to The Music Rock festival. Display parking for hundreds of bikes. In partnership with Swinton Insurance this festival of all things biking, music, plus a whole lot more for fun in the sun at the Great British seaside. Town centre display parking for hundreds of bikes with over 50 cafes, pubs and restaurants open throughout Bexhill on Sea. venue: De La Warr Pavilion and throughout the town - Bexhill on Sea, East Sussex, TN40 1DP. 9am to 5pm. Bands to be announced, The Booze Brothers Rock Disco andfilm shows. Acoustic sets and games. Trophies for the best three club turnouts, also best Bike, Trike & Rat on the field. Sunday features a motorcycle Show & Shine with numerous categories and classes, where bikes of all types cat be entered and they will be judged on categories such as best paint job; bike I'd like to take home; best customised; etc. Classic bikes, bike clubs, car clubs, fun fair, trucks, hovercraft rides, food, bar, stalls, demos etc... Raising funds for South Central Ambulance Service Charity. price: Car park £2 donation. Walk in gate free public. price: £17.50. Free re entry for 12 months. Free for pre-booked classic motorcycles. Family tickets available. Wide selection of classic motorcycles to look around as well as the bikejumble section. Live music, fresh food and childrens entertainment all available as well as the extensive selection of antique and collectable shops to peruse. 3 quality bands 1st one on 12:30, also DJ in between bands. 2 bars one indoors and one out. Great trophies for all catagories. A great day out and very well attended. Also a kids area. This is the 11th year of the run and they are expecting a great turn out for the event. venue: UK - Meet at Cambridge Services (Junction 28 of A14) by 11:30 for a 12.30 start. Address for satnav users: Huntingdon Road, Cambridge, CB23 4WU. A short ride to the Cambridge American Cemetery & Memorial for a service to be held from 13:45. Custom & Classic bike competition, Fancy Dress and Tattoo competions. If you have a Bike/trike that has won shows, e-mail details to qualify for a free pass to the event. Food, stalls, trophies, Rock with the Ox disco, Live music from Hollowpoint and Rubicon. Gates open 13:00 Friday 12th July. price: Pre-book: £12.50, untill June 14th. OTG: £15. Car parking £5. Campers/caravans £10. Blue Badge free parking. Day tickets available - please ask. venue: Penrith Auction Mart, Skirsgill, Penrith, Cumbria CA11 0DN . 9am – 1pm. price: Camping from Saturday £10 per person for weekend. Entrance to show £4 at the gate. Under 16 free. Car parking available. River pub setting for the Barflys awesome 14th annual Rally. Loads of bands and beer, raffle, food, stalls and Rock disco. Raising money for maggies. Gates open 12pm Friday. price: See website - Tickets sell out fast and are limted. 3 day music festival with 20 bands over the 3 day weekend. Indoor and outdoor bar. Some stalls. Cafe and burger bar onsite. £30 pppn for B&B. Evening meals, cabins, camping pods and group bookings options. price: OTG - On the Gate price: £3, under 16s free. Fun and games, Club cooked food, stalls, raffles, disco, live music, fancy dress (no theme), 24hr showers and toilets. Disabled parking. toilets. Plenty of parking. Camping close to club house. No Extra Charge for Cars, Campers and Vans welcome. Just Turn Up And Party. All stalls stand free of charge. venue: Coalville Rugby Club, The Memorial Ground, Hall Lane, Coalville, Leicester, Leicestershire, LE67 5PF. Gates open 10am. price: £15/£16. Free Rally patch for all pre-books. price: £6/£5. Over 65 and under 15's free. Free Car and Bike Parking. Bands, Stalls, camping, beer, ride-out Saturday, raffles, custom & classic Bike Show. Free continental breakfast on Saturday and Sunday. price: £20 for weekend. £10 per evening. (Friday or Saturday Night). Gates open midday Friday. Bands on Friday and Saturday evenings. Indoors and out depending on weather. Drinks tent. Drinks discount tickets. Friday BBQ and Saturday Hog roast included in ticket price. Saturday ride out. Indoor facilities and entertainment. Saturday and Sunday breakfasts available in canteen. Free pitches for tents, campers and caravans. Glamping available at extra cost. price: Pre-book: Early bird price - £35. After May 1st - £39. OTG - £45. No other options. Steampunk/Apocalypse theme. 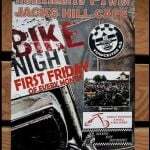 Live bands, bike show, cash prize raffle, silly games. price: Pre-book: £20 by 30th June. OTG: £25. 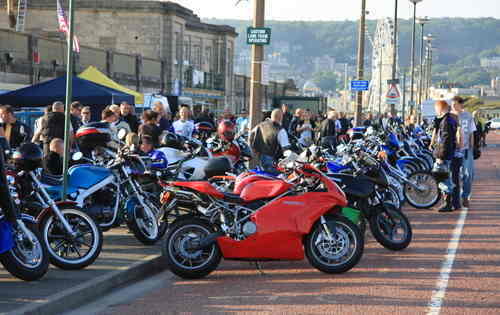 Car passes £15 - Bikers in cars only must be booked in advance due to limited space. 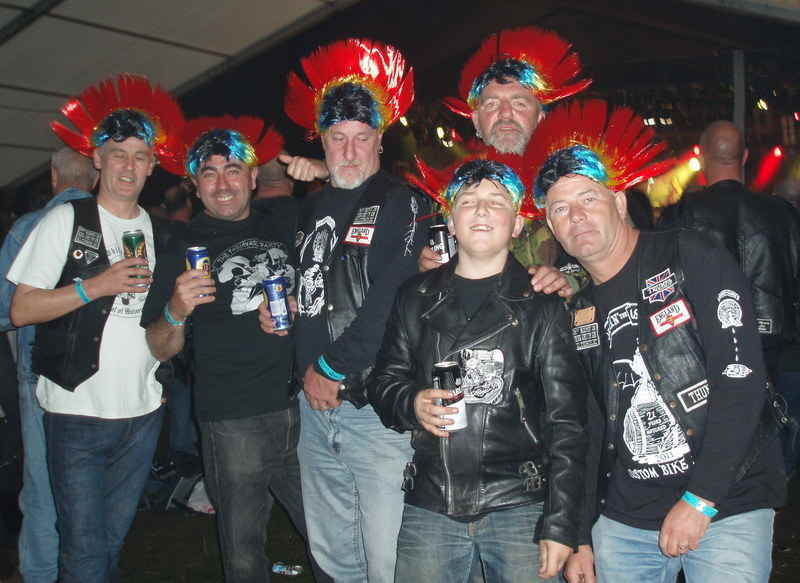 Marquee rally, 6 bands including headline acts of Crossroads and The Hellfire Devilles. Full bar, Tattooist, Silly games, trophies, food stall, family friendly, kids club on Saturday. Dogs allowed, but must be kept on a lead at all times. In partnership with Swinton Insurance this festival of all things biking, music, plus a whole lot more for fun in the sun at the Great British seaside. Town centre display parking for hundreds of bikes with over 50 cafes, pubs and restaurants open throughout Bexhill on Sea. 600+ privately owned and club vehicles on display. Trade and autojumble stalls, children’s entertainment and quality food and drink options. We cannot be responsible for information sent to us, that may have infringed copyright rules with another. WARNING: If you do not send in this format your event may not be listed! We include information in the first instance in text format as flyers are not picked up by search engines.